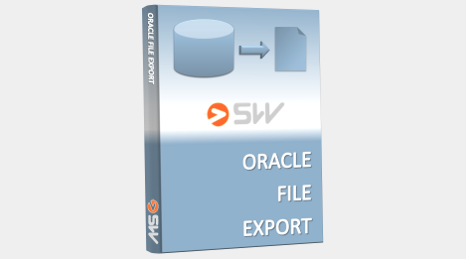 Oracle File Export | 1. SOFTWAROVÁ s.r.o. Exports huge tables on command line from Oracle as client. Note: On server site Data Pump Export by Oracle is more useful. The tool becomes very useful in case you don’t have access directly to the server. For us it becomes very useful for migration projects. It’s written in ProC and ANSI C portable on most of platforms where is gcc compiler and ProC from Oracle are. By using this technology is the time of export very fast. The disadvantage is connected with the benefits. It’s not so easy to port the solution into another operation system. Do you experience any difficulties with porting or using the tool? You can order our consulting services to solve it. When is the Oracle File Export useful? When you’re on client site but you need to export huge package of data on command line. It’s using more pipes to concentrate output from the database into output file of export. The speed of the export can significantly accelerate using select with parallel hint.